Strengthen memory, learn colours and counting with Peppa Pig! 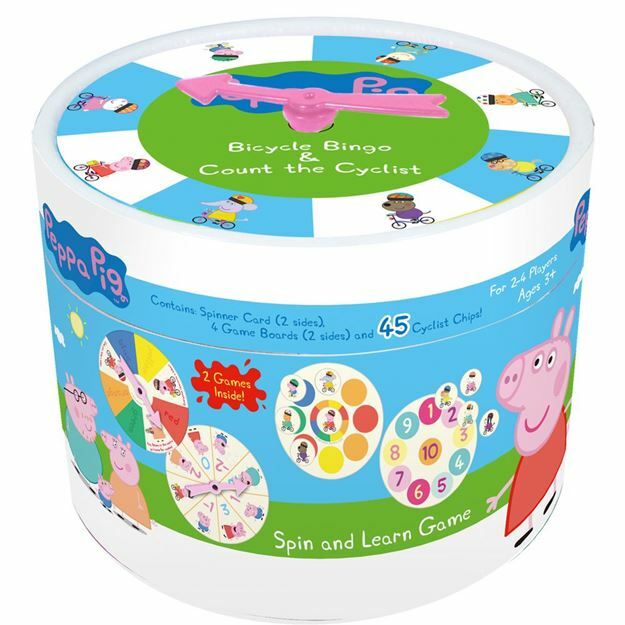 Two great games to choose from, Bicycle Bingo and Count the Cyclists. For 2 to 4 players. Age 3+ years. Distributed in New Zealand by Holdson.